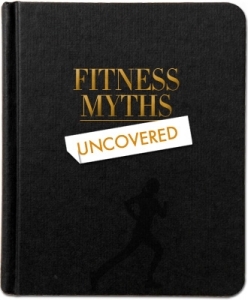 Find out about '5 Fitness Myths Uncovered For Better Training Results' on The Wellness Directory. Sometimes, the hardest part of a workout is getting to the gym. The office, couch and pub can present a convenient excuse to avoid exercise, thus when you overcome such hurdles and finally make it to the weights room, you’ll surely want to get the most out of your workout? However, many of us fail to get our desired exercise results due to lack of stretching, poor eating or motivation to reach our fitness goals. To help you avoid a pointless workout, this article will expose some common fitness myths that foil your optimal body. heart rate will burn more fat than going hard­out or doing interval style training. Whilst there’s an element of truth behind this theory, this approach isn’t an effective use of your workout time. Exercising between medium and full intensity is the key to losing weight as you’ll burn both fat and calories. The best way to lose weight and reduce fat is therefore to burn more calories overall. The desire to burn fat is why some gym­-goers like to work out on an empty stomach. Surely, if there are no available carbohydrates, then the body will go straight to its fat stores for fuel? Well, it’s not quite that simple .. If you’re training on an empty stomach your body will be sluggish meaning your metabolism (your fat burning system) won’t be working efficiently. Hence you won’t burn fat efficiently. For a typical 1-hour gym session, you want to eat something with a low GI (Glycemic Index) rating 60 to 90 minutes beforehand to release sugar slowly into the bloodstream and maintain your energy. Visit www.glycemicindex.com to check the GI rating of your pre-gym snack. When you're feeling triumphant after a kick-arse exercise session, it’s tempting to “reward” yourself with a junk food fix. Unfortunately, this jeopardises all your hard work. What you put in your body dictates how it performs, how it recovers and how your muscles grow. In terms of your results, 70 per cent is down to nutrition, including water, and 30 per cent is the actual exercise. Furthermore, a lot of people eat straight after training although it’s much better to wait an hour after you train since you’re still burningcalories after the workout. ­productive, it could leave you in worlds of pain the following day. reduces your chances of 'DOMS' (delayed onset muscle soreness) and hence your flexibility for future training. If you continuously avoid stretching after exercise, you’re hampering performance and making yourself more susceptible to injury next time. you push a bit further for a a 'real pull' without causing any pain in the process. Are you one of those people who hits the gym without a water bottle? Bad idea. During a 1-hour workout, you should drink at least 750ml of water. If you don’t intake fluids during training, you will be in a constant state of dehydration which will force your body to work much harder than it needs to. In terms of dehydration, a loss of 2% bodyweight (just 1kg for a 50kg person) causes a significant increase in our efforts during training and is thus claimed to reduce overall performance by 10-20%.